First off, why this page was put together. My tach (like many others) went out, and is sticking at about 28oo RPMs. It goes to that mark when the car is started, and sticks there until it is shut off. It occassionally works. I asked the list, and got tons of responses saying this is a well known problem. These are about $600 - 700. Now you know why I am considering aftermarket ones. They should still be available from the dealer. Here is a photo of these. I think they should drop directly in, but have not verified that. If only the tach - redline was straight up, as ought to be! >to work agin, but soon sticks again. ...mine wasn't stuck - it would rise consistently but never go down. I ended up pulling the tach and replacing it with one from a '93 that a list member sold me. My dead tach went to Dave Disney who wanted to inspect it. If it's the same problem mine had it should be repairable - he said it was full of cracked solder joints. So, I would take it out and check the solder joints. Dave said he'll do a writeup when he gets a chance. >to just replace everything with mechanical gauges. I'm sure it would be more expensive, less reliable, and less accurate. :) Unless of course you buy super quality gauges, and then it might only be more expensive, but I have never seen any truly high quality aftermarket gauges. They all tend to go bad after awhile. >hooking up all the gauges, and installing. I don't think this is an issue. Don't think this is an issue. No problem, gordon replaced all his with Autometer gauges. IMO it looks jakey, though, and I don't think Autometer gauges are very good quality (they don't look like it, and my boost gauge went bad after 2 years). Probably, just like everything else you've done to your car. Talk to gordon about details on the issues. >relo like Wael and others have done, but this is probably a bit more involved. >Anyone know of a shop at which to get the panel done? Duane? Again, I'd recommend fixing your tach, installing the temp gauge fix, and installing a new oil pressure sender. The result will look better for sure, and will probably be more reliable (again, no aftermarket gauges I've seen have truly been high quality), and it would certainly cost less. It would also be a heck of a lot easier. There is plenty of room behind the cluster for mechanical gauges. 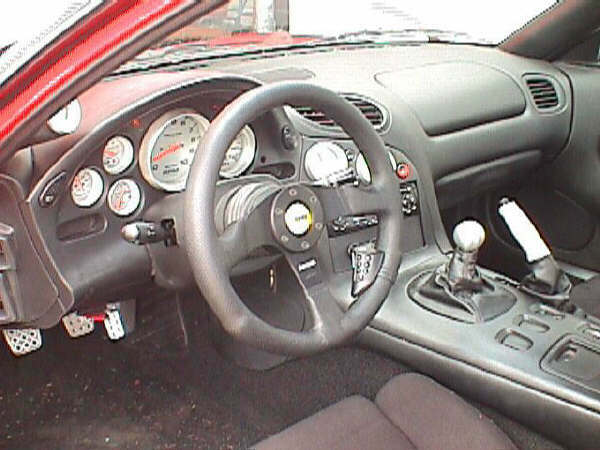 I know Gordon has an autometer setup in his car (I have pics if you would like) and I have an SPA gauge in the stock loacation. There is tons of room behind the cluster if you remove all the electronics for the stock gauges. Why not go with a stand alone dash system like Corsa or something (I can give you links this afternoon). Autometer Carbon Fiber Ultra Lite gauges for pricing purposes. Installing factory replacements would probably be very straight forward. Aftermarket ones may be some effort. Any opinions on this comparison? I've been out of town for the past few days and I haven't finished checking up on my email yet. But if no one else has replied to you on this, here's at least a little information. I'm working on this very project right now. Although I'm replacing all the gauges you can get at least an idea of the information you were asking about at my web site. Try here for more information, parts numbers and prices. 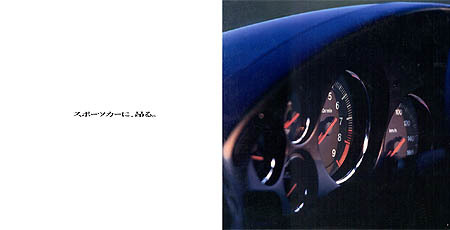 One thing that I know you'll run into is that the stock gauge cluster is one unit. All the gauges are connected to the same board and a lot of the connections are dependant on each other. If you're going to do a couple of gauges, you may want to do them all. Besides that, if you choose to only do a couple I would LOVE for you to email me and let me know how you ended up doing it. There is a friend of mine down here in Florida that replaced the stock oil pressure and water temp gauges with really nice (and expensive) digital gauges from England (SPA). I installed two SPA gauges in my instrument panel to replace the stock water temp and oil pressure gauges. It requires disassembling the SPA qauges removing the front cover and back shell. fabricating stand-offs to very precise dimensions and threading them into the gauges. Cutting the plastic tubes in the instrument panel out using a dremel and reshaping some of the plastic mounting area. Then fabricating a opaque light baffle so that the instrument lights don't wash out the LCD displays. 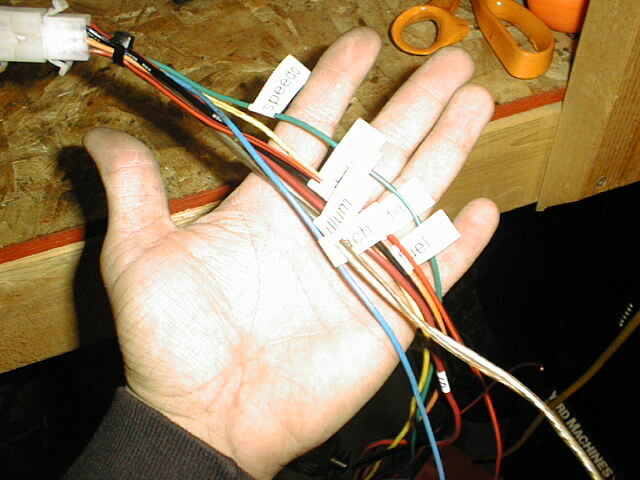 Because the gauges fit so closely the stock SPA connectors won't fit, so you have to fabricate new connectors using pins from sub-D connectors. Then you have to cut out part of the printed circuit board and re-route some of the wires by soldering on new point to point wiring. Then install a small computer fan to remove heat from the panel so that the gauges won't black out from heat. Because the fan is a little noisy and the black top of the panel attracts heat the entire panel has to be insulated in heavy dense neopreme foam. Centering the gauges is a multi try event that is as much luck as skill. All in all it took me 4 seperate install and removals of the panel and about three days. With lessons learned it probably would take a day the next time around. Not to discourage anybody but I am a NASA certified solderer and have pretty good hand skills aquired over the years, in my previous occupations. 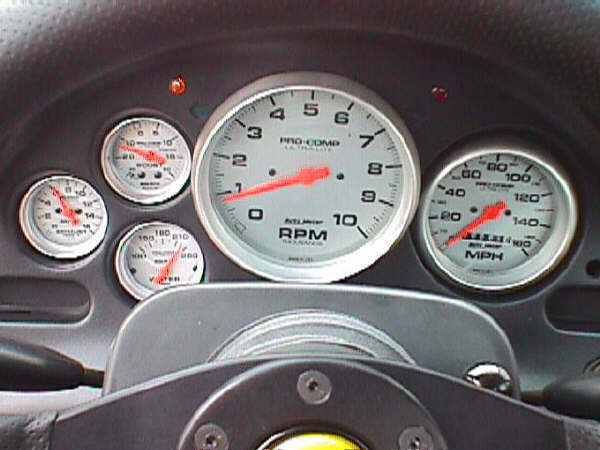 This page provides info on replacing the stock gauges. 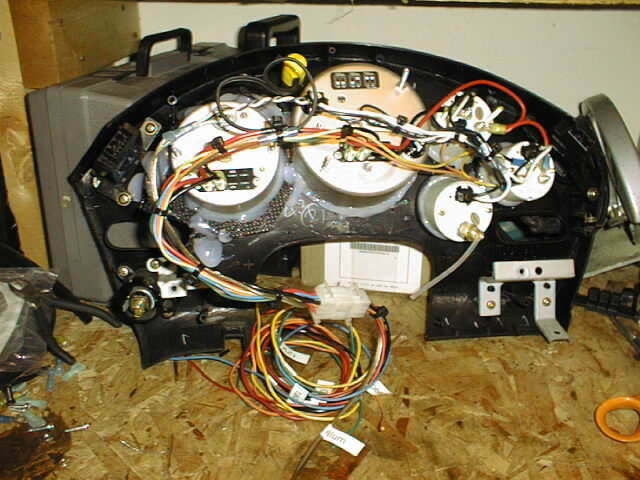 There are also pages on this site on Dash Removal, Replacing just the faces (how-to).